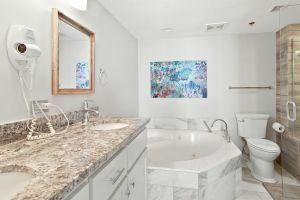 Imagine a North Myrtle Beach vacation in an oceanfront three bedroom, three bath condominium. 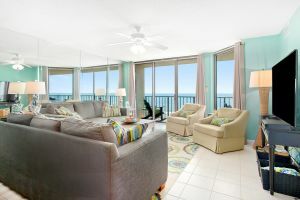 Beach Club II 5B is an oceanfront condo that sleeps guests in utter comfort. 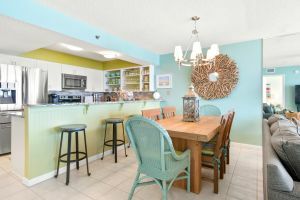 There are tile floors in this oceanfront condo in North Myrtle Beach, South Carolina in addition to a brilliant paint color scheme. Beach Club II 5B is gorgeous. 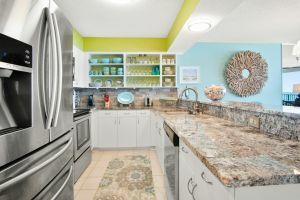 There is a well equipped kitchen in this North Myrtle Beach condominium that features stainless appliances, including a dishwasher. The dining table and breakfast bar in Beach Club II 5B are as inviting for breakfast as they are for playing family board games. The living room in this North Myrtle Beach vacation rental opens to the oceanfront balcony. 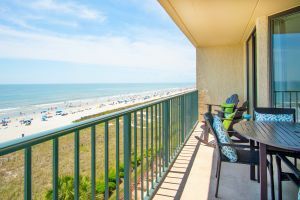 Overlook the swimming pool and the sandy beach from the oceanfront balcony of this North Myrtle Beach vacation rental. The master bedroom at Beach Club II 5B opens to the oceanfront balcony so you can really start your North Myrtle Beach vacation day off right with an oceanfront sunrise. 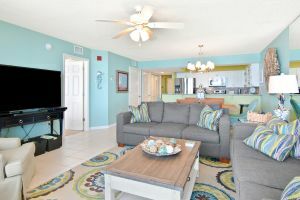 Additional amenities in this North Myrtle Beach vacation rental include WIFI, flatscreen CCTVs and DVD players. A washing machine and clothes dryer are provided for you. 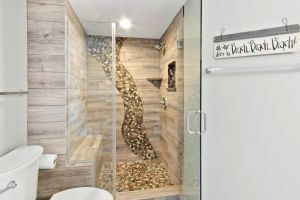 This non-smoking North Myrtle Beach vacation rental also features a relaxing Jacuzzi tub for the shoppers and golfers who have aching muscles. 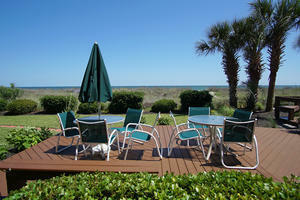 Beach Club II is a North Myrtle Beach, South Carolina resort that boasts easy beach access. 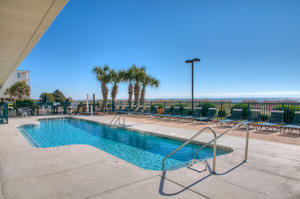 Go for a swim in the swimming pool and also take a dip in the Atlantic Ocean during your North Myrtle Beach vacation. After lounging poolside and hanging out on the beach, get ready and explore all the amusements and attractions in North Myrtle Beach, South Carolina. There are more than 100 Myrtle Beach golf courses around town and more than 1,500 restaurants. Play 18 holes every day of your beach vacation at Beach Club II 5B and then dine on succulent seafood. Water sports nearby include tandem parasailing, banana boat rides and Sea Doo rentals. There is also shopping, day spas and live entertainment theatres nearby this North Myrtle Beach resort! Welcome to Happy Ours at Beach Club II! Thanks so much for considering a stay in our vacation home. We think what our guests have said about our place is more important than what we say (plus, we were reared not to be boastful), so here are some comments. ...chose your condo again, and again it was marvelous...well equipped with everything we needed to make it feel like home...come to Myrtle Beach area every year, and this is the best condo ever...up to date, clean, and enjoyable...great view...beautiful...fabulous...restful...fantastic...warm, inviting, friendly atmosphere...really nice area...others could learn from you...perfect...welcoming...awesome and inspiring decor...wow!...comfortable...thanks for everything you allowed us to use...absolutely wonderful time...made our vacation the best...made great memories here...thanks for sharing your lovely beach home. We invite you to come make great memories at Beach Club II 5B!